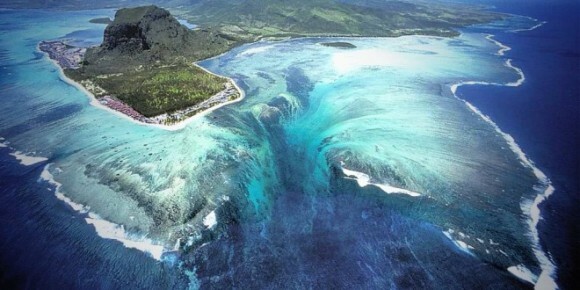 Top 10 Natural Optical Illusions For Earth Day! Happy Earth Day to all! I woke up this morning and thought to myself “Self, you need coffee!” Then, after a little caffeine jolt to the brain, I realized that it was, in fact, Earth Day. 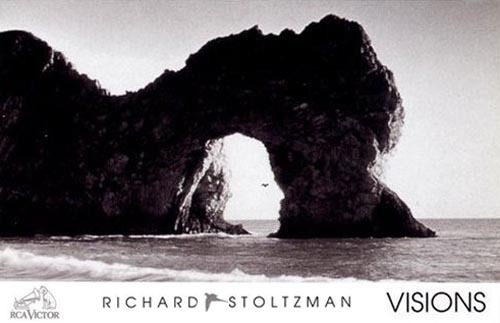 What better way to celebrate here at Mighty Optical Illusions headquarters than by rounding up some of Earth’s own natural optical illusions? 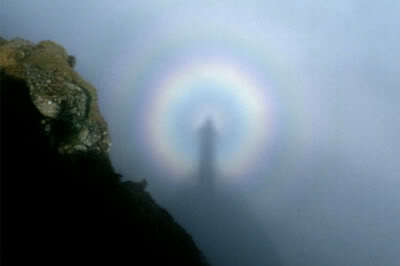 After all, Mother Nature really does produce some of the best optical illusions! 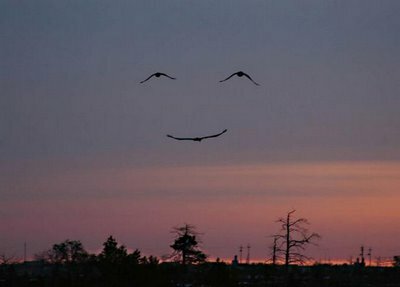 The birds flying in this formation make a nice little smiley face, don’t they? It’s a simple little illusion, but it’s still pretty cool! There are actually a few different accidental smiley illusions in this collection, and you can check them all out HERE. 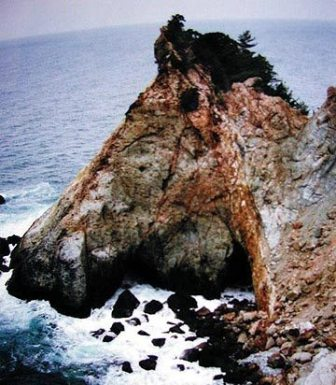 This is one of my absolute favorite natural optical illusions! 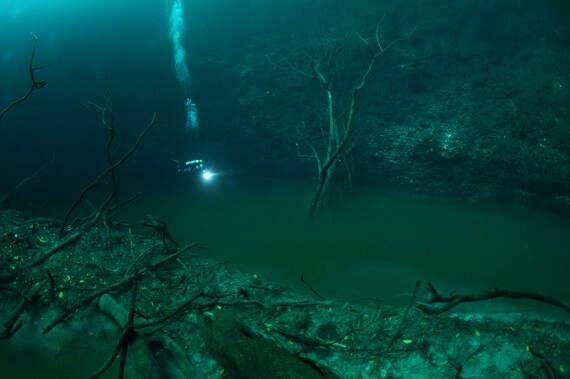 What appears to be an underground river is actually created when saltwater and freshwater meet. You should really check out this post to see a better explanation. The underground river above may be one of my favorite natural optical illusions, but I think this underground water might just take the number one spot! Wanna see how this underground waterfall is possible? Head over and check out this post. 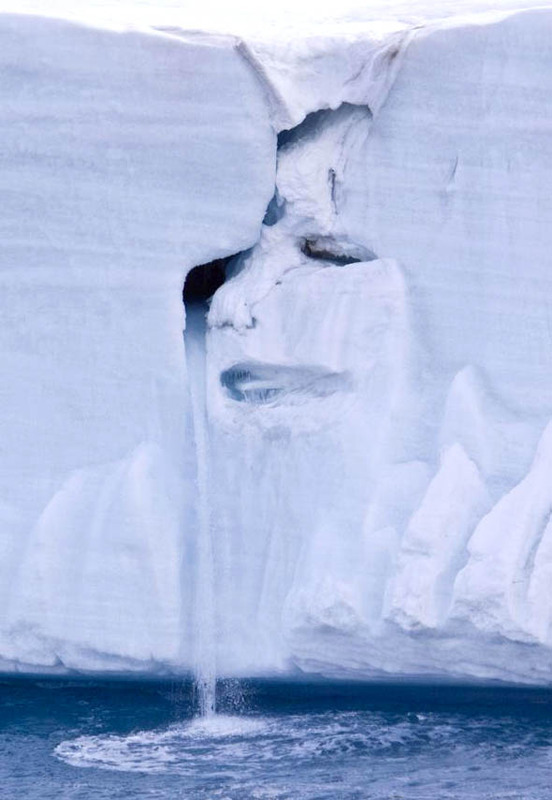 Some might say that this crying glacier is symbolic of how Mother Nature feels about “global warming”. Others, however, would call that a bunch of hogwash. No matter what your opinion is on global warming, though, you have to admit that this is a pretty cool natural optical illusion! Boom Chicka Wow WOW! 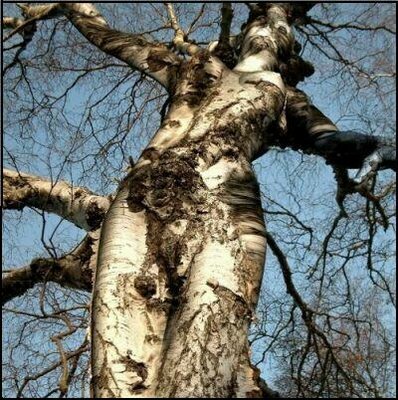 Enter the naughty tree….. There’s actually another nice little collection of natural illusions in this post. I’m warning you though—most of them are a little naughty, much like this cheeky little tree. Seeing a ghostly image surrounded by a colorful aura has to be a sight to behold! And, I’d love for the chance to see one some day. If you do to, check out this post to see just how to do that. Looks like this little horsey needed a nap. Wait…no. That’s an island isn’t it? Mother Nature has given animals all sorts of nifty little survival tricks, hasn’t she? 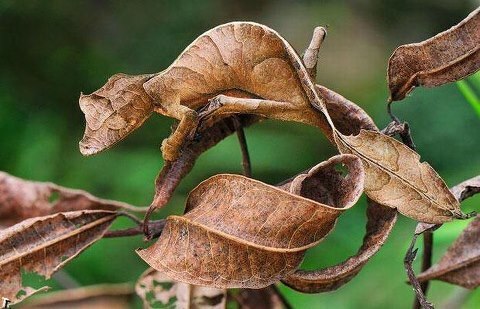 This chameleon probably escapes his fair share of predators simply by just looking like a leaf. But this awesome little caterpillar looks just like a much more dangerous snake, making predators think twice before messing with it! 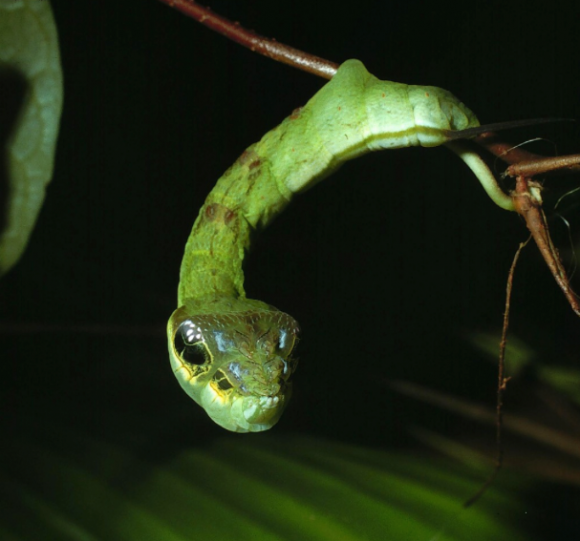 This snake caterpillar is part of the hemeroplanes species found in Latin America. These are fascinating little creatures, and you can check out a few more pictures and read a little more about them HERE. It looks like we’ve reached the end of our list of natural optical illusions, haven’t we. I’m all out…or am I? 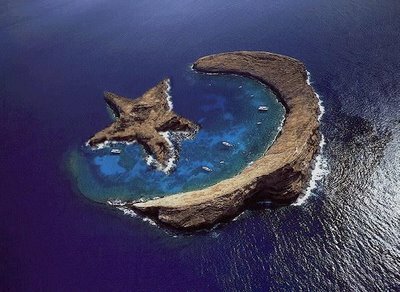 I’m not sure if this image is manipulated in any way, but it’s still an amazingly beautiful illusion in my eyes! Very moving and very spiritual. Okay, now we really have reached the end of our list of natural optical illusions. Comment with your favorite one below or on our Facebook page and have an awesome Earth Day! Nice pics, but some of them are photoshopped.